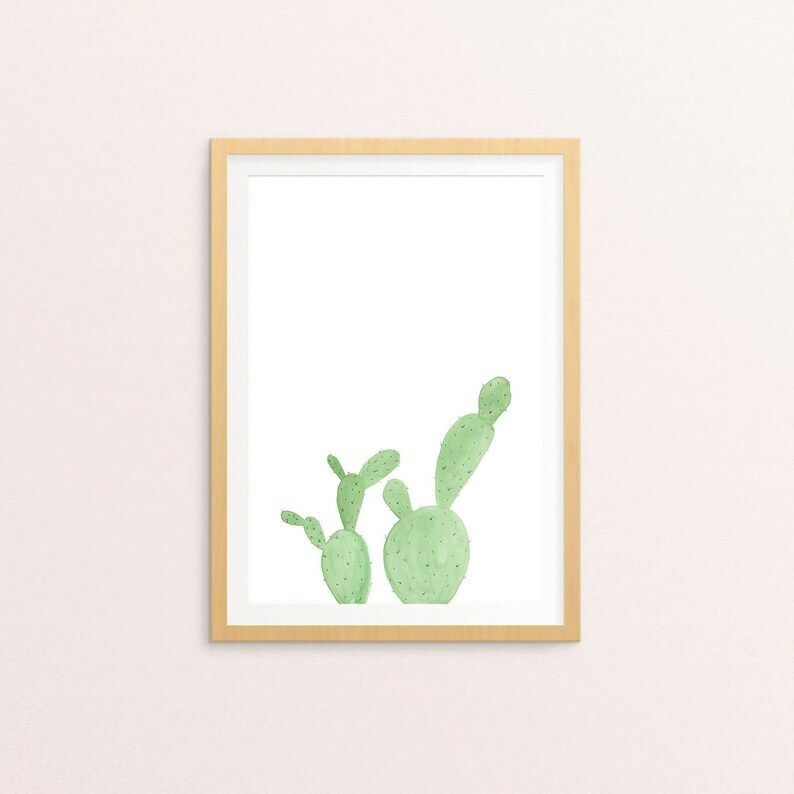 This cactus watercolor printable is perfect for a gallery wall or as a fun addition to any room in your house. I created this cactus print with watercolor, a paintbrush and a pen. This listing is for a 5x7 and 8x10 downloadable version if this print. If you love this pastel watercolor print and would like a specific size or a hard copy print, send me a message, I'd be happy to help! If you are interested in an original, check out this original cactus watercolor that is very similar: https://www.etsy.com/listing/270094446/cactus-watercolor-original-print-cactus.